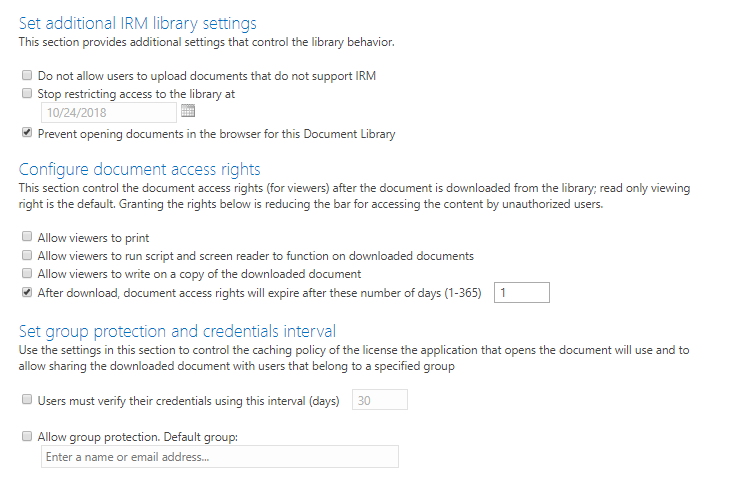 Although Microsoft Ignite is upon us, I want to share with you more information on SharePoint’s Information Rights Management. When opening the document in Office, the document will be decrypted. Provided that I’m using the same credentials for SharePoint and Office. The PDF document acts somewhat different. As this PDF is protected, I will need a compatible PDF reader. Adobe’s Acrobat is not sufficient.